Want it by Wednesday 24th April? Order within 4 days, 19 hours, 52 minutes and choose Next Working Day - Kerbside Delivery (Order Must be Placed by 2pm) at checkout. Another lovely number from our Smart Choice European Click Collection - The Golden Matt Lacquered 14/2.5mm engineered floor. 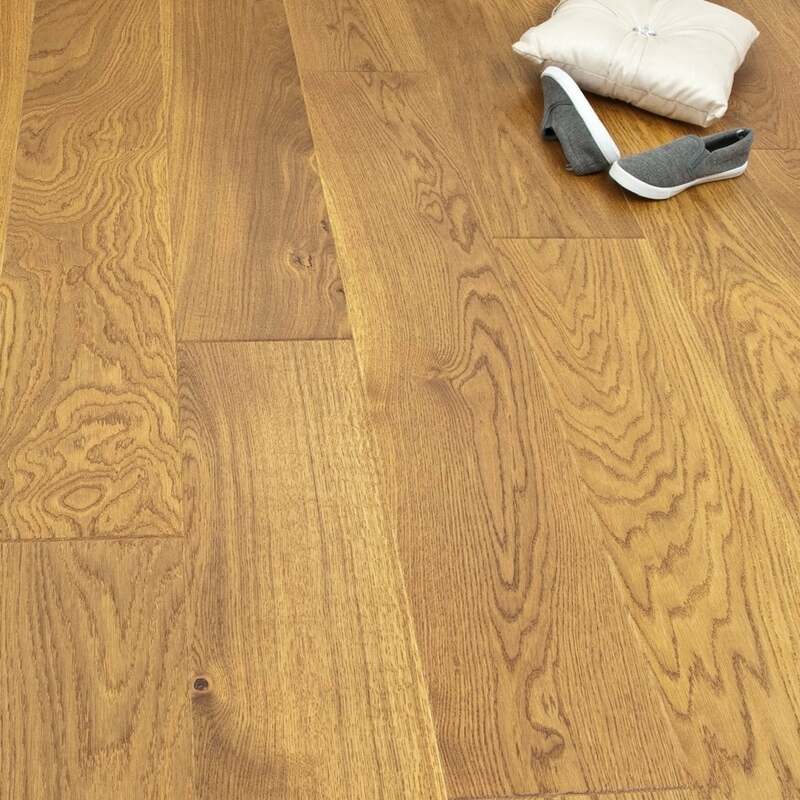 This is a great example of gorgeous affordable engineered wood flooring; it wont break the bank, and it will look great in your home. The installation system of this floor is another great advantage - the "Click" system is believed to be much quicker to lay, and therefore it should cost less in labour. This floor can be floated with an underlay or glued straight to the subfloor, however always consult a professional when investing in a floor like this. The newest style coming into Interiors is the iconoclast style - this is matching two styles which at the first sight would not look compatible, but work in a way that goes beyond compatibility! With this particular floor, pale walls, traditional furniture and bright, stand out Canvas paintings on the walls. This kind of style is bold, impacting and effective, check out some examples to see the finished result for yourself! Don't believe us? Order a free sample and see for yourself!